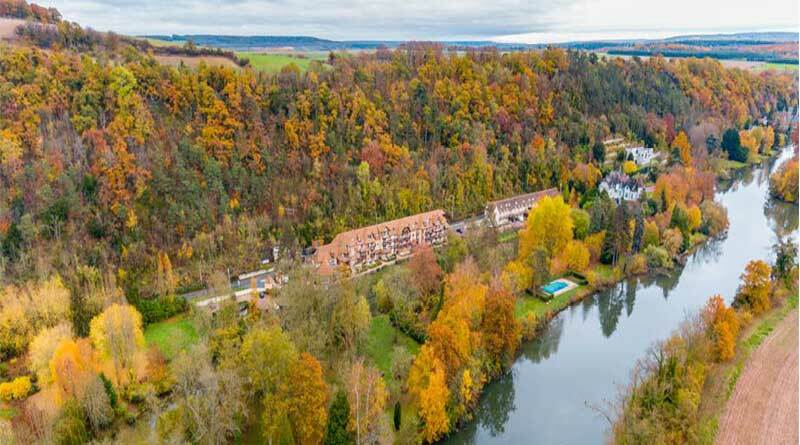 Karma Group has announced the acquisition of Karma Manoir des Deux Amants and Karma Residence Normande on the banks of the river Seine in the heart of picturesque Normandy in the French countryside. Comprising 49 apartments between them, the resorts are superbly situated just an hour and twenty minutes from central Paris. The spectacular location in Normandy offers guests the opportunity to unwind and discover lush landscapes, medieval towns, castles and beaches. The resorts are just outside the charming village of Connelles, deep in Impressionist country, and close to the medieval town of Rouen with its historic castles and cathedrals. The spacious and sumptuously furnished accommodations feature well-equipped kitchens, whilst the leisure complex provides entertainment for the whole family with a heated outdoor swimming pool, sauna and games room. Karma Group is an award-winning international travel and lifestyle brand offering extraordinary experiences in the world’s most beautiful locations and is headed by Chairman and Founder, John Spence, former Ernst & Young Entrepreneur of the Year and member of the 2013 judging panel for the Ernst & Young World Entrepreneur of the Year. John was honoured by the Yale University School of Architecture by being appointed the Edward P. Bass Distinguished Visiting Architecture Fellow and has also been awarded a Distinguished Visiting Fellowship at UCLA as well as working with students from the University of Pennsylvania to design a chateau development in Carcassonne. The Karma Group is comprised of Karma Resorts, Karma Retreats, Karma Royal, Karma Estates, Karma Beach, Karma Spa and Karma Boutique. The Group is currently operating 28 resorts in more than 10 countries, including Australia, France, Germany, Greece, India, Indonesia, Thailand, Vietnam and the United Kingdom. There are currently five properties in development and the Group is negotiating three separate acquisitions in Scotland (a golf resort), Cyprus and Bulgaria. In 2016, Karma group and Sanctum Hotel Group announced a joint venture to develop a series of authentic rock ‘n’ roll styled and orientated hotels in strategic locations around the world, accompanied by an exclusive private membership club. In 2017, Karma were awarded the contract to manage and develop the golf course on Rottnest Island in Western Australia and in Greece, RCI, the worldwide leader in vacation exchange, selected Karma Group to manage its operations in the Greek market whilst redevelopment began on Karma Minoan in Crete. Karma Group is a sponsor of the England Rugby 7’s team through the 2017/18 season, the Commonwealth Games and the 2018 Rugby World Cup 7’s in San Francisco as well as the Rosslyn Park HSBC National Schools Sevens, the world’s largest school rugby tournament.